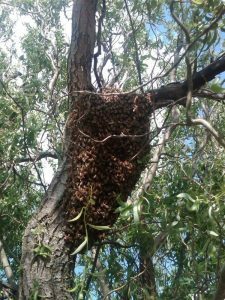 So what is a bee swarm? 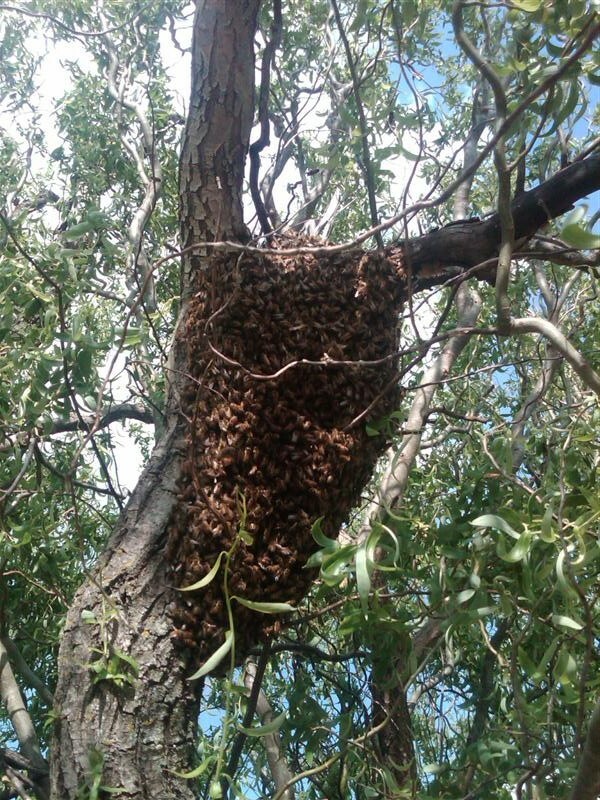 A bee swarm is the natural reproduction method of honey bees. When conditions are right, typically in the spring, a colony will select an egg and feed it extra royal jelly so that it begins to grow as a queen with working ovaries. This takes a few weeks. Right before the new queen emerges, the old queen and a sizable chunk of the colony leaves to go find a new home. So in essence, one just became two. This group of bees fly a short distance away and settle down to take a break and let the scout bees go look around for a suitable place to move into as their new home. While they wait around, resting, it often appears like some of the examples below. 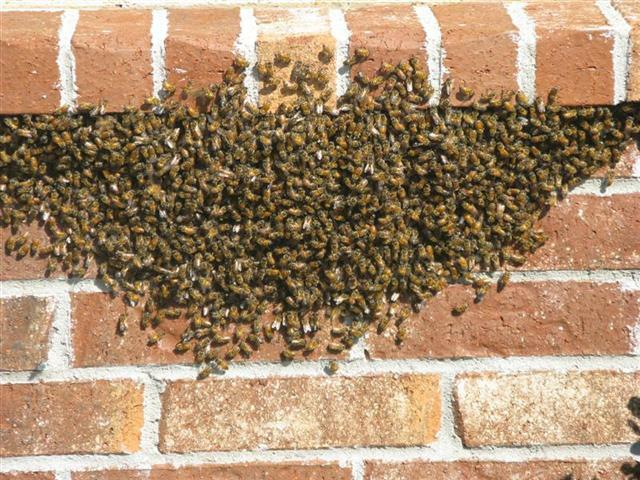 When we talk about bee swarms, it is often beneficial to talk about what a bee swarm isn’t. The following 4 pictures came from wikipedia. 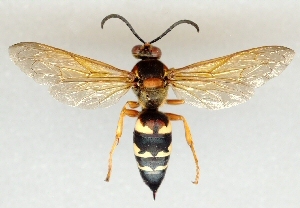 I personally think the hornet, wasp, and yellow jacket all look the same but find it easy to distinguish the honeybee by the consistent stripes, short body, and short wings. Honeybees do not dig a hole in the ground to live in, that would be hornets or wasp, I’m not sure as I’m not interested in them. Bees create wax comb to live on/in. They do not form big paper wrapped looking balls. Again that would be hornets or wasps, not bees. 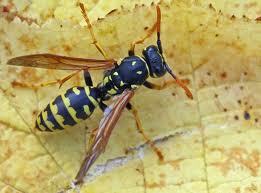 A bee swarm is not out to get you, and is highly unlikely to chase you unless you wack them with a stick first. Don’t laugh, youtube is filled with videos of people like that. 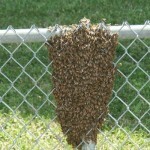 So – do you have a bee swarm? If you’re in the Tulsa, Owasso, Sperry, Collinsville, Turley, area, you should call me. I like swarms. Swarms are fun. In the right setting bees are fun. Inside the wall of your house, or the eave of your house isn’t the right setting. Oh yeah, I also do cutouts (where I cut out a hole in your wall to get the bees out), so you can call me on that too. 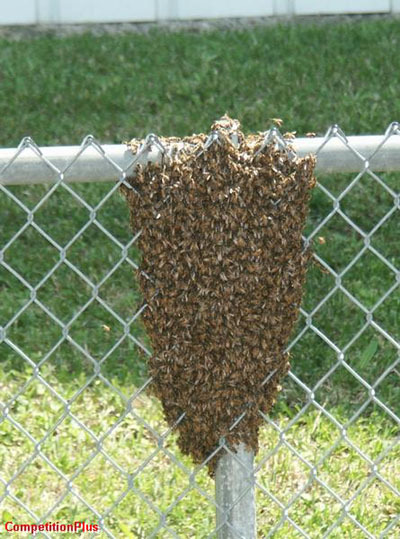 A typical swarm could be hanging off a tree, a shrub, or the gutters of your house. They would not be in a hole in the ground or in a paper or mud nest on your home or property. 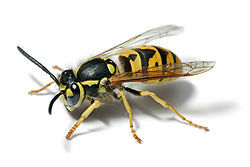 If this is your problem, you have a problem with wasps or yellow-jackets, see above, and you’ll need to call a licensed exterminator. However, if they’re hanging like a huge bunch of grapes, or look like the pictures above, then call me, and I’ll see how quick I can come over to capture them and move them into a great home, in the right setting. No, but the longer they’ve been there, the greater the risk of stinging. The risk is pretty low. These bees are interested in finding a new home. They’re not worried about protecting a home yet (they don’t have one), so unless you’re perceived as a threat to their lives, you won’t be stung. However, discretion is advised. If anyone has a bee sting allergy, they should stay away. This is how nature reproduces new / more bee colonies. A beehive, with a queen, lots of workers (females) and a small amount of drones (males) was getting overcrowded. This is mother natures prime opportunity to reproduce and make another colony. So the old queen and several thousand bees leave the old home spot in search of a new home. They landed somewhere, usually not all that far from the original home. Scout bees (a handful of the workers) leave the swarm and go looking for a potential new home. When they find a suitable spot, the whole group heads over and sets up house. They begin to build honeycomb, collect nectar and raise a family again. Can I try to poison them or burn them out? Please don’t. 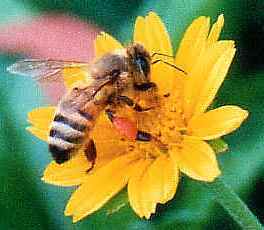 Honey bees are extremely valuable to the economy, and to the pollination of crops. It is estimated that more than 60% of our crops are pollinated by bees. The natural population of honey bees is all but gone due to parasitic mites and diseases, and these bees which gardeners and farmers rely on, exist almost exclusively in beekeepers’ yards. The honeybee is currently dying off in massive numbers for reason unknown – although a lot of really smart people with some really expensive equipment are trying to figure it out. Don’t kill them, call a bee keeper and help the bees survive. Do you charge to remove the bees? Depends. Typically I do charge a modest amount just for my time, a little gas money, and maybe a few dollars more to help with other expenses. There are times, when it is really easy, real close to my home, or normal travel that I do it for free. Also, I assume no risks of any liabilities when you call me. You’re inviting me onto your property and I’ll gladly do my best to remove the bees. If they’re in a good location, I’ll be successful. You may see only a few lost bees hanging around for a few days, as these are the lost scouts… they’ll wander off and either die or join a hive somewhere. However, the beekeeper who removes the bees will have to invest a great deal of time and money to get this cluster established elsewhere. If you see fit to donate a bit to help me cover some the cost, that’s great. Are there cases where you won’t take the bees? If the bees are in an inaccessible part of the wall of a building, too high in the air for a stepladder to reach, or in a location that I reasonably could get hurt trying to get them, I probably won’t be able to get them. I’m not a contractor, just a hobby beekeeper. However if it is beyond my skills, you’ll need a professional contractor and I know several of those with bee experience to refer you too. The earlier you call, the better. That’s because the bees gorged themselves on honey before leaving home, but once they’re looking for a new home, they begin to starve to death. 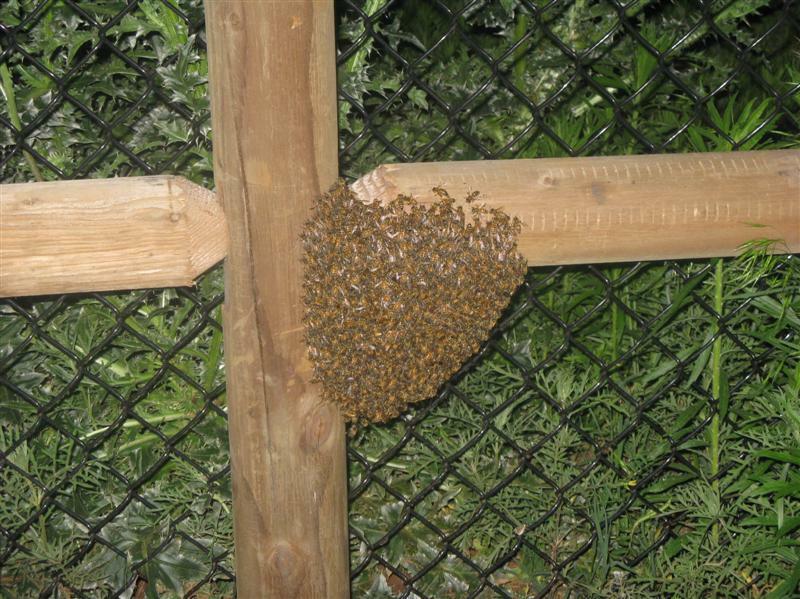 The sooner we get them in a new hive, the better their chances… and the better their temperament. 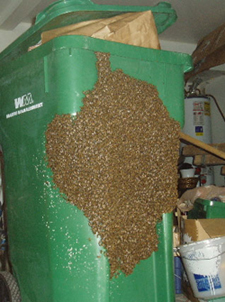 Bee swarms are common during the spring. 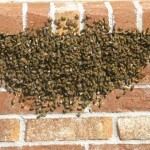 Swarms in late June and July are not very common, and their chances of survival are pretty low. 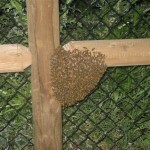 That said, in August and September 2010 I had several small swarm calls. If I can’t come out to retrieve the bees, they’ll typically move on (hopefully away from your house) within a few days or slowly die. In any case, you’re best to leave them alone. Don’t try to spray them, poison them, burn them or startle them. Honey bees are not your enemy! Come on over and get these bees. Did you see the PBS special on honeybees?